Looking for sandwich ideas at dinner? 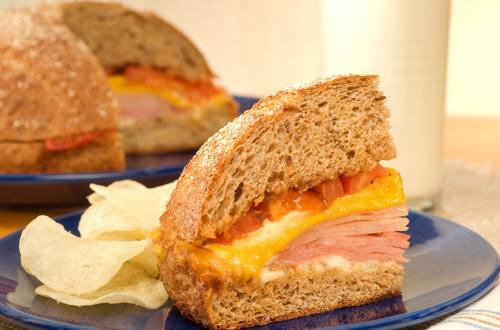 Try this take on a hot ham sandwich, perfect for any meal, including dinner. 2 Cut bread in half horizontally; hollow out center of each half, leaving 1/4-inch shell. Spread Hellmann's® or Best Foods® Real Mayonnaise onto bottom half. Layer ham, cheese and tomato. Drizzle with dressing; replace top shell. 3 Wrap in aluminum foil and bake 25 minutes or until heated through. To serve, cut into wedges.